The University of South Carolina School of Medicine's Department of Obstetrics and Gynecology is committed to training physicians to provide the highest quality women's care. We're also committed to caring for women's health care needs throughout their lifetime, and to supporting innovative research that can help shape the future of health care delivery. Visit obgyn.med.sc.edu/ to learn more. In addition, we publish the area’s most popular events email: This Week’s Top 10 Things to Do! 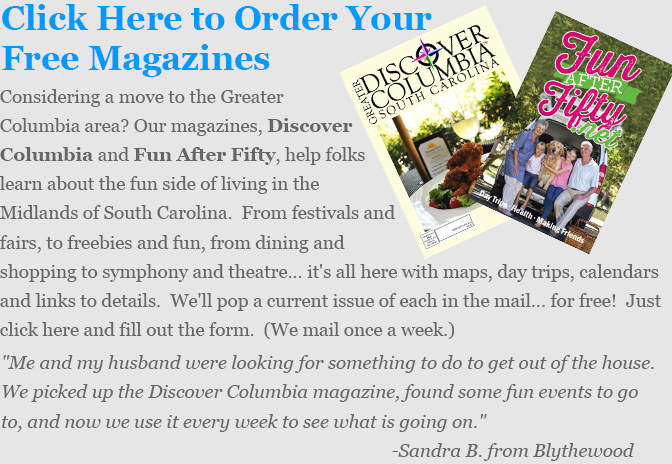 We’d love to have you subscribe! Please click here and you’ll be signed up to receive it in your email every Thursday... that way you’ll know about all the fun things going on in our area - starting now! You can also like us on facebook.